"referencing"* rigs. One of the biggest challenges here was to "de-ref"* an entire rig, which means I have to delete a large number of objects. Sounds simple right? Unfortunately simple things are never easy in motionbuilder. The reason is because there are dependencies between different objects, that are not properly garbagecollected. Thats bad, hence the crash. Here is a solution that you should not be proud of, but it works. The key is to delete objects by their type in a very specific order. Good to know. I've had to do very similar things in maxscript when deleting objects with script controllers that had node references. Thanks for sharing! Yea Alex, thats very clean. By the way enjoy your tutors on MoBu. Very well put together. Thanks for sharing the know-how. Awesome Alex, I love it!! Lambda is something I barely use, mostly because I cant quite identify areas to use it. This helped me understand it a lot,so thanks, very inspiring! what do you mean by referencing rigs in mobu? Does 2013 allow you to reference from other fbx scenes? There is not real referencing, but by having a node in your scene that holds a reference to all objects in the scene, you can sort of get the behaviour of referencing. I might actually do a post on this in the future, if there is an interest. 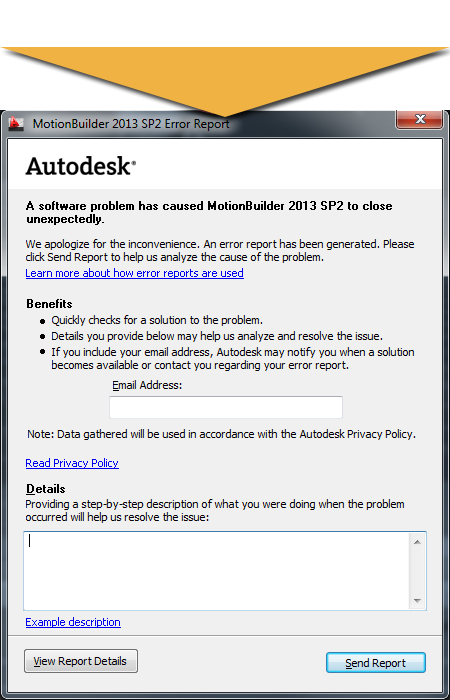 "Unfortunately simple things are never easy in Motionbuilder"
I talked to subscription about this and the answer was: “deleting objects with the SDK is currently a challenge”. This was on MotionBuilder 2011 advantage pack, so this might have changed for the newer versions. However unless you have already done this, I would torture test this before committing to it as a long term solution. Wanting “referencing” is obvious, especially if you have a Maya background. But most old hand MotionBuilder people I have met have a “scene re-building” workflow, meaning they save out all animation, then re-build the scene with fresh assets and apply the animation. I heard one of the Crytek studios have scripts for doing exactly this for their cinemas (you might know?). So that might be an alternative solution. I would love to know if the solution scales well for large scene, or if that’s still an issue? Actually it does support characters, but in all fairness, not very gracefully. There r still some limitations and I haven't been as involved in the beta testing as I had initially hoped. Anyway, the "work around" (ever heard that word used? *sarcasm*) is to reference a file that only contains the skinned mesh & the skeleton (no rig or characterization) into a file that contains a duplicate of the same hierarchy which IS characterized. Parent constrain each joint to its correlating joint of each hierarchy (like a slave skeleton). Proper namespacing of each skeletal hierarchy is your friend. Any updates to the mesh will be reflected, updated & remain current. There are some caveats regarding changes to the hierarchy of the referenced skeleton & mesh, contrary to the documentation when dealing with hierarchies of the complexity, but still gets the job done. Good tips there, Jason! Thanks! I'm happy to report that removing a character from a dense scene with your code, is down from "Not going to happen" to around 3 minutes - still in MoBu 2011. I'm assuming it's the specific order that things are removed in that makes the difference. Now I just need to get rid of those pesky pop-ups related to relation constraint macros. Fast and easy and seems to work well. Wow, it does work. Thanks for sharing Sune! I would be interested in finding out about your referencing work around. If you have time to post, that would be awesome!